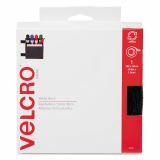 Velcro Sticky-Back Hook & Loop Fasteners w/Dispenser, 3/4" x 15ft Roll, Black - Sticky Back Tape, the original hook-and-loop fastener, features simple peel-and-stick application. It is perfect for office, school, home and workshop use. Use on smooth surfaces including walls, glass, tile, plastic, metal and wood. 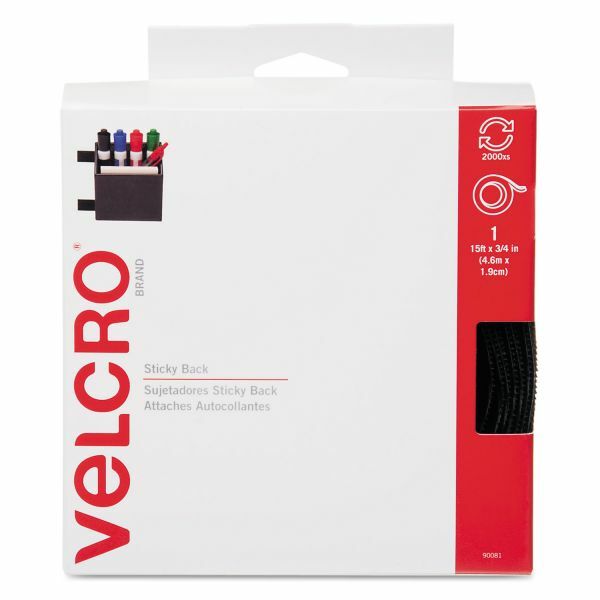 Tape works with other VELCRO Brand fasteners or adheres to itself.